So here we are…. Royal Wedding Week. Across the water, William and Kate host the biggest Reality TV spectacle of the decade on Friday. I have no problem in saying that I will definitely watch the wedding – perhaps not live – but I will not miss all the hoopla as the British Monarchy embark on the latest chapter in the story of the House of Windsor. There have been a few Royal Weddings since the 29th of July 1981, but none matched the spectacle of Charles and Diana’s nuptials. At the time I was working for JWT in their office at the bottom of Grafton Street. My manager was determined that although we were working we would see the Royal wedding. Now (for young readers) this was way before computers and live streaming! What to do? Being a very resourceful woman, my manager reapplied her lippy, gave herself a quick spray of cologne and off she went up Grafton Street. About 15 minutes later she arrived back with a nice young man from Radio Rentals (or some such shop) who was clutching a TV and rabbits ears. We were all set. It was a bit fuzzy but it was colour and it was live. We missed nothing. Mother a staunch republican wouldn't allow it on in our house so went to a friends and she had a garden party and little union jacks and triangle cut sandwiches. Nearly couldn't bear the guilt when I got home..
– We're gonna have a big Union Jack flying from the chimney here in Cabinteely, and I as a staunch 'Brit'will revel in the 'Pomp and Cicumstance' that my homeland does so well !! I remember watching that wedding with my first child an infant in my arms. My heart broke for Diana that day. She filled with hope and he exuding indifference. It was so long ago and yet only yesterday. I'll be watching too! 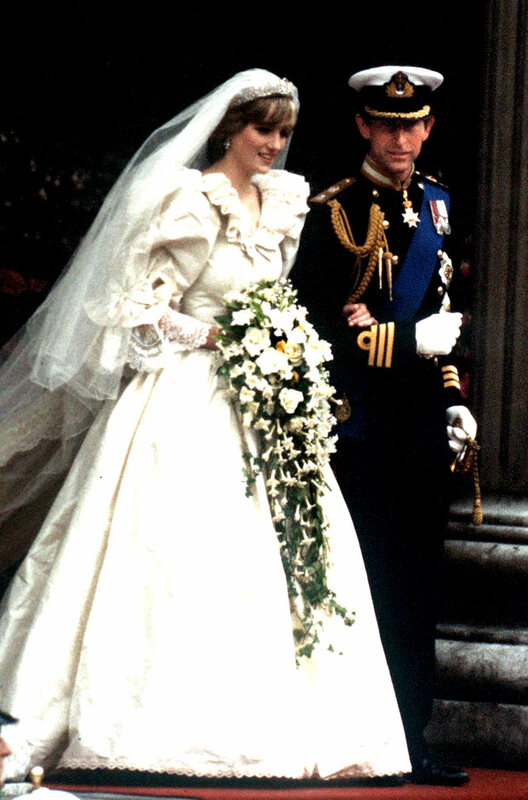 Was watching Diana walking up the aisle last night on TV – she was terrified, face calm but breathing like a train (can't think of more elegant analogy). Hoping Kate will be more relaxed! My 11yo is committed to a full 8hours viewing,so we will be making lots of tea & having cake on Friday…! I remember my Grandad wouldn't let us watch it – he had a hard time letting us watch anything on the BBC let alone a royal wedding! Mom and myself had to go to a neighbours house to see some of it! Years later and when I mentioned here about watching it this Friday – I was told I'm on my own – one is at football camp – one will be watching Spongebob – so guess I'll catch a few highlights in the evening!